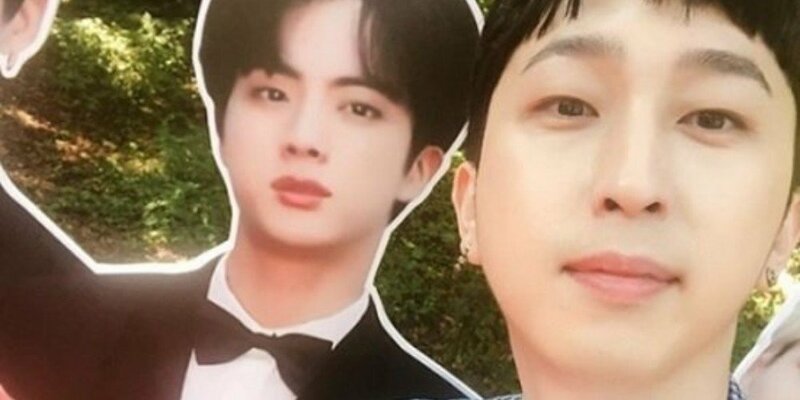 Sleepy shared how his photos with BTS boosted the number of his Instagram followers. On the June 26 airing of SBS Power FM's 'Cultwo Show', Sleepy shared, "I'm in a great mood. I posted photos with BTS cardboard cutouts yesterday and my number of followers drastically increased." ????? ??? ????#??? #? #bts #??? Ji Sang Ryeol commented, "He talked about BTS last time we had team dinner too," and asked, "Didn't you say you can help me meet them?" Sleepy brought laughter as he replied, "Well, I was drunk then..."
In the past, Sleepy revealed he was the one who recommended RM to Big Hit Entertainment. ????? ???? ? ? ??? ????? #RM #BTS #SLEEPY #?? ?